In the first legal response to Andrea Tantaros' lawsuit against it, Fox News says she "is not a victim; she is an opportunist." The motion, filed on Monday, seeks to compel arbitration in the case. It says that her suit is "filled with falsehoods." Tantaros sued the cable news channel and several top executives last week, alleging retaliation by the network. The suit asserted that ex-Fox News chief Roger Ailes and several other men at the network sexually harassed her, and that she was demoted when she complained about the harassment. Tantaros has been off the air since April. The network says she was suspended because she published a book without gaining the necessary approvals from her bosses, but did not immediately comment when the suit was filed last week. Her lawyer says Fox used the book as an excuse to bench her after she spoke up about harassment. Tantaros remains on the Fox News payroll. Her contract expires next August. The motion to compel arbitration does not mince words about Tantaros: "Not to be outdone by anyone, she contends that she was sexually harassed by an ever-shifting collection of employees at Fox News; she charges that outside counsel retained by 21st Century Fox deliberately ignored her purportedly important harassment story (actually, her lawyer, Joseph C. Cane, Jr., failed to return a telephone call from the law firm, Paul Weiss, retained to conduct the investigation); and she claims retaliation even though she concedes that she has not been terminated and remains on Fox News' payroll." "Tantaros's unverified complaint of August 22 in this Court bears all the hallmarks of the 'wannabe': she claims now that she too was victimized by Roger Ailes, when, in fact, contrary to her pleading, she never complained of any such conduct in the course of an investigation months ago," the motion, which is likely a preview of what the network would say either in court or in arbitration, states. Ailes left the network last month amid allegations of sexual harassment by past and present Fox News employees, including ex-anchor Gretchen Carlson, who sued him on July 6. 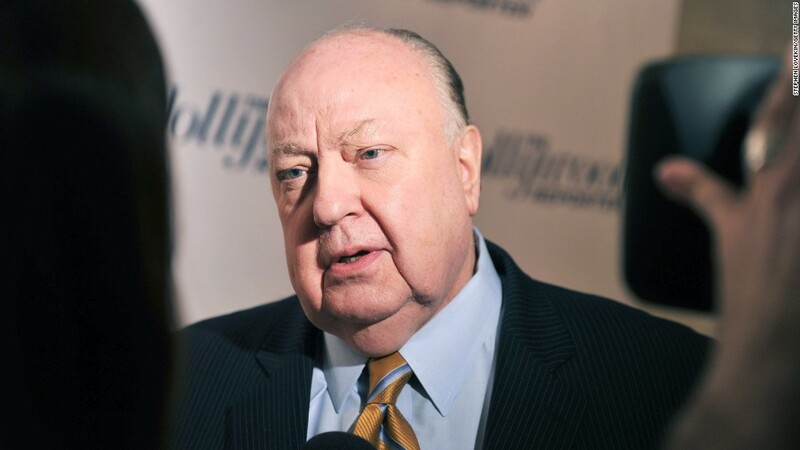 Ailes has denied the allegations. Monday's motion was only on behalf of the network and the four remaining executives named as defendants: Bill Shine, Suzanne Scott, Irena Briganti and Dianne Brandi. Inside Fox News, there has been extreme skepticism about Tantaros' claims. Longtime host and correspondent Geraldo Rivera, echoing the views of colleagues, said her lawsuit is "not [a] sincere legal document," it is a "vindictive screed designed to damage reputations and hurt feelings." The motion specifically addresses how the Murdochs, who own Fox News, hired an outside law firm, Paul Weiss, to investigate the allegations by Carlson and other women. 21st Century Fox "has made clear its commitment to providing a safe and dignified workplace at Fox News: by immediately launching an investigation in which women were encouraged to report their experiences under conditions of confidentiality, and by committing to make things right with those women who were not treated with the respect that they and every employee deserve," the motion says. Fox is reportedly in settlement talks with three women. The overarching point of the motion is that Tantaros's contract steers any complaints against Fox toward arbitration, not a courtroom. Such arbitration clauses are common in television news industry contracts. "The fact that arbitration may not present the opportunities for public vilification that she and her counsel seem to favor does not excuse ignoring the express terms of her Employment Agreement," the motion states. "This Court should compel Tantaros to proceed in the arbitration proceeding that is already underway." The motion was filed in New York state Supreme Court, a few hours after Tantaros's lawyer announced that Tantaros would be willing to submit to a lie detector test, if the defendants would do the same thing. The press release listed dozens of questions that Tantaros would like the defendants to answer. Her lawyer had no immediate response to the motion compelling arbitration on Monday.